The SEJ board, along with executive director Meaghan Parker and deputy director Chris Bruggers, at the Wilson Center in Washington, DC for the 7th annual Journalists' Guide to Energy and the Environment on January 25, 2019, followed by the weekend board meeting. © Photo courtesy of Bobby Magill. Click to enlarge. Bobby Magill covers energy and climate change for Bloomberg Environment in Washington, D.C. His work focuses on renewable energy policy, science and technology. In 2018, he covered the United Nations climate negotiations, or COP24, in Katowice, Poland. Previously, he was a senior science writer at Climate Central in New York and was an environment reporter for newspapers in the West, including the Fort Collins Coloradoan; the Daily Sentinel in Grand Junction, Colo.; the Post-Independent in Glenwood Springs, Colo.; the Taos News in Taos, N.M., and the Mountain Mail and Defensor Chieftain newspapers in Socorro, N.M. His work has appeared in Climate Liability News, Popular Mechanics, Scientific American, The Guardian, Grist, Salon, USA Today and other publications. Born and raised in Charleston, S.C., he graduated from the College of Charleston in 2001. Find him on Twitter @bobbymagill or online at bobbymagill.com. Board member since 2015. Current term: 2018-2021. Contact Bobby, 202-524-0296. Susan Moran is an independent print journalist, covering science, the environment, health and agriculture. Her work has appeared in Popular Science, Discover, The New York Times, The Economist, Ensia and several other publications. She also is a producer and host of a weekly science show, "How On Earth," on KGNU community radio in Colorado. Susan has been a journalist for nearly three decades, initially on staff at Reuters (Tokyo, New York, Silicon Valley), Business 2.0 magazine and other news organizations. She taught journalism for seven years as an adjunct instructor at the University of Colorado. Susan has a master's degree in journalism from Columbia University, and a master's degree in Asian Studies from University of California Berkeley. She was a Knight Science Journalism Fellow at MIT in 2009-10, and a Ted Scripps Environmental Journalism Fellow at the University of Colorado in 2001-02. Susan has been an SEJ board member since 2014. Current term: 2017-2020. Contact Susan. Gloria Dickie is a freelance journalist, covering science and the environment, with a focus on climate change, biodiversity conservation, and environmental policy. Her work appears in National Geographic, The Atlantic, The Guardian, Pacific Standard, Outside, Wired, BioGraphic, The Walrus, High Country News Magazine, VICE, Canadian Geographic, Hakai Magazine, Undark, Mongabay, InsideClimate News, EnRoute and Adventure Journal, among others. In 2018, she was named a National Geographic Explorer. Gloria has a master's degree in journalism from the University of Colorado Boulder. Current term: 2016-2019. Contact Gloria. Scott Dodd is a senior staff editor at The New York Times. He has worked in newspapers, magazines and digital media, including eight years at The Charlotte Observer, where he contributed to Pulitzer Prize-winning coverage of Hurricane Katrina by a sister Knight-Ridder publication. He was an editor at the Natural Resources Defense Council’s OnEarth magazine and later served as the organization’s editorial director, overseeing digital content. As the top editor at the environmental news outlet Grist, he led the publication to several industry honors, including its first nomination for the National Magazine Awards. Scott has written for a number of publications, including Scientific American and Slate, and been praised for "bang-up investigative journalism" by CJR. He holds journalism degrees from Penn State and Columbia. Board member since 2017. Current term: 2017-2020. Contact Scott. Dennis Dimick served as executive environment editor at National Geographic magazine and was a picture editor at the National Geographic Society for more than 35 years until his retirement from the Society at the end of 2015. He guided a variety of major magazine projects, including a special issue on global freshwater in April 2010, a 2011 series on global population and a 2014 series on global food security. In September 2004, he orchestrated a 74-page, three-story project on climate change called “Global Warning: Bulletins from a Warmer World.” In 2014, he created and edited projects on the future of coal as an energy source and on the vanishing snowpack of the American West. From 2008-2012, Dimick co-organized the Aspen Environment Forum, and he regularly presents slide-show lectures on global environmental issues. For 19 years he has been a faculty member of the Missouri Photo Workshop, and in 2013 received the Sprague Memorial Award from the National Press Photographers Association for outstanding service to photojournalism. His work has also received awards from the Society of Environmental Journalists and Pictures of the Year International. Dimick, who grew up on an Oregon farm, holds degrees in agriculture and agricultural journalism from Oregon State University and the University of Wisconsin-Madison. He is a member of the Society of Environmental Journalists, the National Press Photographers Association and the American Association for the Advancement of Science. Board member since 2016. Current term: 2016-2019. Contact Dennis. Jeff Burnside is an independent journalist working on his debut documentary film "First Contact, Lost Treasures." He was a 2017-18 Scripps Journalism Fellow at the Center for Environmental Journalism, University of Colorado in Boulder. He has been in the news business for more than 20 years working as an investigative reporter, general assignment reporter, executive producer and segment producer in cities such as Boston (WCVB Chronicle), Miami (WTVJ Special Projects Unit) and most recently, Seattle, as senior investigative reporter for KOMO 4 News. He's won more than 20 journalism awards — for television news, newspaper reporting and photography — including 10 regional Emmys. Jeff is also a frequent invited speaker and panelist on environmental journalism, journalism ethics and media training. He's earned working media fellowships at the Center for Strategic and International Studies (Tromso, Norway), Heinrich Boell Institute for green energy (Berlin), Steinbrenner Institute for climate science (Carnegie Mellon University), Reynolds Center for Business Journalism on the green economy (Cronkite School at Arizona State University), Metcalf Institute for Environmental Reporting (University of Rhode Island) and the Western Knight Center for Specialized Reporting in political coverage (University of Southern California Annenberg School). Board member since 2006. Current term: 2018-2021. Contact Jeff, 206-512-6544. Katy Daigle is a science and environment journalist and an editor at Science News magazine in Washington, D.C. She has spent the past two decades working internationally — from Moscow, London, Puerto Rico and, most recently, New Delhi. While stationed in South Asia in 2010-2017, Katy guided the Associated Press news report from the region while covering environmental news. In 2014, Katy won the Ramnath Goenka award for "Best Foreign Correspondent in India" for her investigative series on the asbestos industry's operations in the country. She has also written on a wide range of topics, including endangered species, air pollution, climate change, water, energy and agriculture. Katy's fellowships include the Ted Scripps Environmental Journalism Fellowship at the University of Colorado-Boulder in 2012-13, the National Center for Atmospheric Research journalism fellowship in 2013 and the Wood’s Hole Oceanographic Institute journalism fellowship in 2016. Raised in California, Katy holds a master's degree from the London School of Economics and a bachelor's degree in journalism and history from Northwestern University. Current term: 2018-2021. Contact Katy. Breanna Draxler is an independent science and environment editor based in Seattle. Her clients include National Geographic and Knowable, among others. Previously, she has worked as an editor on staff at bioGraphic, Popular Science and Discover magazines. She initially got into the beat while working at the Center for Environmental Journalism and pursuing a master's degree from CU Boulder. In addition to journalistic storytelling, she's also a fan of biking, backpacking and experimenting with lactofermentation. Current term: 2017-2020. Contact Breanna. Judy Fahys covers environmental issues in Utah, where climate change, the Bears Ears National Monument, the nation’s radioactive legacy and other types of pollution provide endless fodder for news. She works at KUER 90.1, the NPR affiliate in Salt Lake City. She’s a longtime member of the Society of Environmental Journalists and Investigative Reporters and Editors. She was a Knight Science Journalism Fellow at the Massachusetts Institute of Technology. Current term: 2018-2021. Contact Judy, 801-587-8234. Emily J. Gertz is the writer and publisher of (de)regulation nation, a newsletter tracking bad, better, good and great environmental news in the Trump era. Emily has reported national and international stories for diverse publications that include HuffPost, Popular Science, TED Ideas, Dwell magazine, Reveal, Men’s Journal, Arctic Deeply, The Guardian, Scientific American and Rolling Stone. She is the co-author of two Maker Media books on do-it-yourself environmental monitoring, and contributed to the books "The Science Writers’ Handbook" and "Worldchanging: A User’s Guide to the 21st Century". Emily was an Arctic Reporting Fellow (2015), a COMPASS Journalist Fellow (2012), an Ocean Science Journalism Fellow at the Woods Hole Oceanographic Institution (2010), a Knight Science Journalism/MIT-Kavli Nanotechnology Workshop fellow (2009) and is a 2018 Tow-Knight Entrepreneurial Journalism Fellow at the Newmark Graduate School of Journalism, City University of New York. Contact Emily. Lyndsey Gilpin is the founder and editor-in-chief of Southerly, an independent media organization about ecology, justice and culture in the American South. Currently based in the coalfields of Eastern Kentucky, she has covered climate change, energy and environmental justice all over the U.S. Her work has appeared in Harper's, Vice, The Daily Beast, CityLab, Undark, High Country News, FiveThirtyEight, The Washington Post, Hakai, The Atlantic, Grist, Outside and InsideClimate News. She earned her master's degree from Medill School of Journalism at Northwestern University. Current term: 2017-2020. Contact Lyndsey. Meera Subramanian is an award-winning independent journalist whose work has been published in national and international publications including the New York Times, TheNewYorker.com, Nature, Virginia Quarterly Review and Orion, where she serves as a contributing editor. Her book "A River Runs Again: India's Natural World in Crisis, from the Barren Cliffs of Rajasthan to the Farmlands of Karnataka," published by PublicAffairs in 2015, was short-listed for the 2016 Orion Book Award. Through her work, she has explored the disappearance of India's vultures, questioned the "Good Anthropocene," sought out fragile shorelines and investigated perceptions of climate change among conservative Americans. Her essays have been anthologized in "Best American Science and Nature Writing," as well as multiple editions of "The Best Women's Travel Writing." She was an MIT Knight Science Journalism fellow (2016-17) and Fulbright-Nehru Senior Research Fellow (2013-14), and earned an MA in Journalism from New York University. Based in Cape Cod, you can find her at www.meerasub.org and @meeratweets. Current term: 2018-2021. Contact Meera. Wm. Roger Witherspoon has spent more than five decades working in all forms of the media as a journalist, author, educator and public relations specialist. Along the way, he has written extensively on politics, foreign affairs, finance, defense, civil rights, constitutional law, health, the environment and energy. Most of his career has been in the news business, working as a full time reporter, editor, columnist or producer for a variety of media companies including newspapers (The Record, N. J.; Star Ledger, N. J.; NY Daily News; Atlanta Constitution; Dallas Times Herald; and Journal News (N.Y.); television (CNN, KNBC and NBC Network); and radio (WCBN, MI). As a freelance writer, he has written for several publications, including Time, Newsweek, Fortune, Essence, The Economist and US Black Engineer & IT. As an educator, he was responsible for restructuring the print and broadcast curriculum and staff in the Department of Mass Communications at Clark-Atlanta University. In public affairs, he managed millions of dollars in health and environmental grant programs globally for Exxon Corp. He is the author of "Martin Luther King, Jr…to the Mountaintop," Doubleday; and co-author of "Feats and Wisdom of the Ancients," Time-Life Books; and "Engineering 101: A Text Manual," Hampton University College of Science and Engineering. He is a founder of the Association of Black Journalists, which grew into the present National Association of Black Journalists; and a member of the International Motor Press Association and the Automotive Press Association. Board member since 2011. Current term: 2017-2020. Contact Roger, 201-906-0220. David Poulson is the senior associate director of Michigan State University's Knight Center for Environmental journalism where he teaches environmental, investigative, public affairs and computer-assisted reporting. He also organizes and implements workshops in the U.S. and abroad to help professional journalists better report on the environment and to help researchers better communicate their work to the public. He is the founder and editor of Great Lakes Echo, a non-profit award-winning environmental news service serving the Great Lakes region. Before arriving at MSU in 2003, he had a 22-year professional journalism career, including 11 years as the environmental reporter in the Lansing bureau of Booth Newspapers. In 2015 the International Association of Great Lakes Research recognized Poulson for "sustained efforts to inform and educate the public and policymakers on Great Lakes issues." Board member since 2013. Current term: 2016-2019. Contact David, 517-432-5417. Jennifer Bogo is the VP of content for the National Audubon Society, where she oversees the crack editorial team producing bird-savvy conservation and science stories for Audubon magazine and Audubon.org. She came full circle to Audubon, and to avians, after stints extolling the virtues of robots and space probes as the science editor at Popular Mechanics and executive editor of Popular Science. Stories she edited have won a National Magazine Award and been included in the "Best American Science Writing" and "Best American Science and Nature Writing" anthologies. She has made frequent media appearances as a science expert, and she has traveled to research stations from the Arctic to the Antarctic to report feature stories herself. Current term: 2018-2021. Contact Jennifer. Jim Detjen served as Director of the Knight Center for Environmental Journalism and Knight Chair at Michigan State University from January 1995 through May 2012. Previously Detjen spent 21 years as a professional newspaper reporter and editor at The Philadelphia Inquirer, The (Louisville) Courier-Journal and other publications. His reporting has won more than 50 state, national and international awards including Polk, National Headliner, Stokes and Meeman awards. He is a three-time finalist for a Pulitzer Prize. Detjen is a contributor to or author of four books on environmental and science journalism topics. He has lectured widely and has taught journalism workshops in the British Isles, Australia, Russia, Ukraine, China, Japan, Portugal, France, Italy, Germany, Hungary, the Philippines, Sri Lanka, Egypt, Mexico and throughout the U.S. Detjen helped found the International Federation of Environmental Journalists in 1993 and served as IFEJ president from 1994 to 2000. He earned a bachelor's degree from Rensselaer Polytechnic Institute in Troy, NY. and a master's degree in journalism from Columbia University. Detjen was awarded a Fulbright scholarship to teach at Nanakai University in Tianjin, China, during the spring semester of 2002. Ex officio board member and founding president, 1990. Contact Jim, 517-353-9479. Meaghan Parker is the Executive Director of the Society of Environmental Journalists. Previously, she was the Senior Writer/Editor and Partnerships Director for the Environmental Change and Security Program and the Global Sustainability and Resilience Program of the Wilson Center, a nonpartisan policy forum in Washington, DC., where she worked for 15 years. She is the founder and editor-in-chief of the award-winning New Security Beat, a daily blog covering environment, health and security. She was the supervising producer of the award-winning documentary trilogy, “Healthy People, Healthy Environment,” three short films filmed in Tanzania, Nepal and Ethiopia. She was the lead editor of "A New Climate for Peace," an online platform and independent study commissioned by the G7 Foreign Ministers. A frequent speaker and moderator on panels about media, she served two terms as the associate board member for SEJ. Before joining the Center, she was Manager of Research and Internal Communications at the Fortune 500 energy company PPL Global, where she researched international investments and renewable energy policy. Contact Meaghan, 202-558-2033. Beth Parke became SEJ's first executive director in 1993. She provides entrepreneurial leadership to clarify, protect and advance SEJ's mission. Parke's responsibilities include implementation of board policies, budget and finance, development, strategic planning, university relations with regard to annual conferences, and collaboration with partners in the journalism community. From 1984-1992 Parke was senior producer and host for Consider the Alternatives, an award-winning radio series on public policy issues. Prior to that she was employed as a producer for National Public Radio affiliates WGBH-FM, Boston and WHYY-FM, Philadelphia. Parke earned a B.A. in Communications from Boston College, and an M.A. 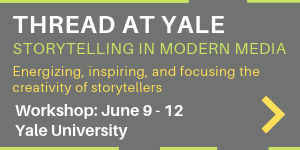 from the Annenberg School for Communication at the University of Pennsylvania. View a tribute to Beth. Contact Beth. A. Christine Bruggers has served with distinction in multiple staff roles since 1993. Her leadership and creativity have produced a base of systems for SEJ programs and operations including the building of database systems for membership, listservs and accounts; marketing, planning and implemention of annual conferences, awards, FEJ and other programs; training and supervising administrative and program staff; design and production of SEJournal; and leadership with SEJ's board on membership policy and elections procedures. She is responsible for moving membership applications and member data from paper to electronic files in 2009. Bruggers also serves as Director of SEJ Awards and as such developed one of the earliest online entry-form procedures for journalism awards in 2010. She also supervises the annual board election and created online balloting in 2010, both saving money and increasing voter participation. Bruggers earned a B.A. in professional writing from Kutztown University in Pennsylvania. She is also an accomplished photographer. Contact Chris, 202-558-2022. Jay Letto, a founding member of SEJ, has been the group's annual conference director since 1993. He also works as a freelance writer and editor. From 1986 to 1992, Letto served as director of the environment program at the Scientists' Institute for Public Information in New York City, where he was also co-editor of SIPIscope. Letto has organized scores of programs for journalists on the full spectrum of environmental issues. As annual conference director for SEJ, he works with the board conference chair and dozens of member-volunteers to organize a balanced, diverse and news-making program dealing with the myriad aspects of news reporting on environmental issues. Letto earned his B.S. in biology and environmental studies from the University of Michigan. He also holds an M.A. in journalism, with a certificate in science and environmental reporting, from New York University. Contact Jay, 509-493-4428 (West Coast - Pacific Time). Meagan Jeanette assists with SEJ member and customer support, donor gifts and pledges, e-blasts, processing ad orders and reimbursement requests, Listserv subscriptions, conference marketing, exhibit tracking, data reports and development of basic procedures. Based in Louisville, Kentucky, Jeanette is also a classically-trained chef and works with Edible Louisville & the Bluegrass Magazine as their Advertising Account Executive. Contact Meagan. 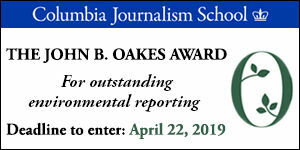 Joseph A. Davis is a freelance writer/editor in Washington, D.C. who has been writing about the environment since 1976. He directs the WatchDog Project, an activity of SEJ's Freedom of Information Task Force that reports on secrecy trends and supports reporters' efforts to make better use of FOIA, and writes SEJournal Online’s Backgrounders and TipSheet columns. He also compiles SEJ's daily news headlines, EJToday. Davis was senior writer with the Environmental Health Center until 2002, where he was acting editor of EHC's Environment Writer as well as principal author of EHC's reporter's guide on the science of global climate change. Between 1982 and 1989, he covered energy, environment and natural resources for Congressional Quarterly in Washington, D.C. Davis earned his B.A. from Harvard University and a Ph.D. in American Literature from the University of Michigan, Ann Arbor. He has experience in database reporting and has taught Web publishing. Contact Joe, 301-656-2261. A. Adam Glenn is an award-winning journalist, media consultant and journalism educator with 30-plus years in newspaper, magazine and online newsrooms, including ABCNews.com. A long-time specialist in environmental news, he is editor of the SEJournal Online and is on the SEJ editorial advisory board. He is also editor of the climate adaptation news project AdaptNY and of the Reporter's Guide to Climate Adaptation. An online pioneer since the 1990s, he has spent the last decade focused on community, engagement and social media. Adam's consulting clients have included news publishers, journalism think tanks, and non-profit and charitable organizations. He is a distinguished lecturer at Hunter College at the City University of New York, and previously taught at CUNY's Graduate School of Journalism, New York University and Columbia University. Adam has won numerous fellowships and grants, most recently as a public policy scholar at the Washington, D.C.-based Wilson Center think tank. He holds a Master of Arts degree in international policy from the Fletcher School of International Law and Diplomacy, and a Bachelor of Arts degree in journalism from Boston University. He lives with his daughter in the Lower Hudson Valley outside New York City. Contact Adam, 914-409-8795. Cindy MacDonald, SEJ's Web content manager, develops and maintains fresh, accurate and timely content for www.sej.org on a daily basis. She has applied her technical expertise and extensive experience as a detail-oriented writer and administrator to this creative and critically important service to the SEJ community since December 2000. Based near Lindsay, Ontario, Canada, MacDonald is an avid proponent of accurate information in general and on environmental issues in particular. She is a French/Spanish undergraduate of the University of Windsor, Canada. Contact Cindy. Dale Willman has been an award-winning correspondent, editor, trainer and teacher for more than 40 years. He recently spent a year in South Sudan working as Lead Journalism Trainer and Civic Education Advisor for a USAID-funded project. He also spent a year in Indonesia as a Senior Fulbright Scholar, and has worked as an international journalism trainer and mentor on five continents. Currently, Willman is a Program Manager for the City University of New York (CUNY), where he has created a Resilience Fellowship for journalists. He also fills in as a newscaster for NPR, where he previously worked for more than 12 years in Washington, D.C. Willman has organized workshops for the Society of Environmental Journalists on a broad array of topics, from the changing environmental regulations under the Trump Administration to how to better report on climate change issues. During the first Gulf War he provided reporting and hourly newscasts from London. His work was included in NPR’s receipt of the 1991 duPont-Columbia Award for Excellence in Broadcast Journalism. As a correspondent he won a national Edward R. Murrow Award for Investigative Reporting in 1998 for his CNN Radio series, Broadway’s Dirty Little Secret. And while with CBS, Willman provided coverage of the White House, Capitol Hill, the Pentagon and the State Department for CBS Radio stations. He also served as field producer and correspondent for a number of major events, from U.S.-Soviet Summits to the bombing of the Murrah Federal Office Building in Oklahoma City. Willman is also a public speaker and lectures on college campuses on numerous topics, from environmental journalism to media diversity. Contact Dale. The Editorial Advisory Board's role is to consult regularly with the SEJournal editor and others on editorial content for online/e-newsletters and themed SEJournal print publications. The Editorial Advisory Board may also be called upon to advise SEJ's executive director on publications strategy, as needed. 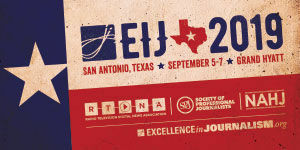 The 11-member SEJ Editorial Advisory Board is made up of the following voting members: Up to eight volunteer publications editorial staff, a SEJ Board liaison, the SEJournal editor (serving ex officio) and a chairperson (any SEJ member in good standing, to be nominated and selected by the Advisory Board members). Additional SEJ editorial staff are invited to serve as nonvoting members of the Editorial Advisory Board.